Gartner says that to better compete in today's business environment, organizations are turning to IT service management (ITSM) products that allow them to deliver high-quality IT services in a cost-effective manner. As a result, ITSM is a top priority for many CIOs. While the demand for ITSM grows, so does the need to integrate identity and access management (IAM) services into the ITSM framework. 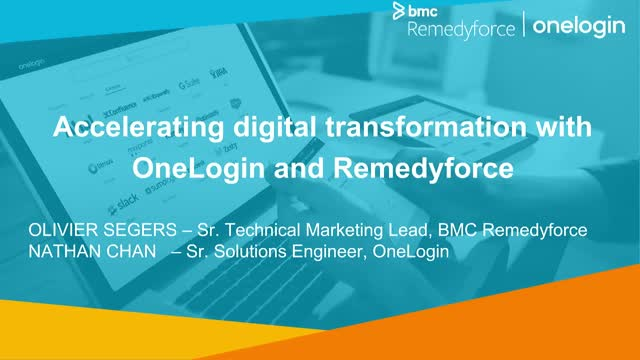 Together, BMC and OneLogin provides a best-in-class identity management solution for securing access and simplifying user management across your IT Service Management (ITSM) solution stack.